Our highest compliment is the referral of a new patient by one of our current patients! Tell a friend, neighbor, co-worker or extended family member about us! 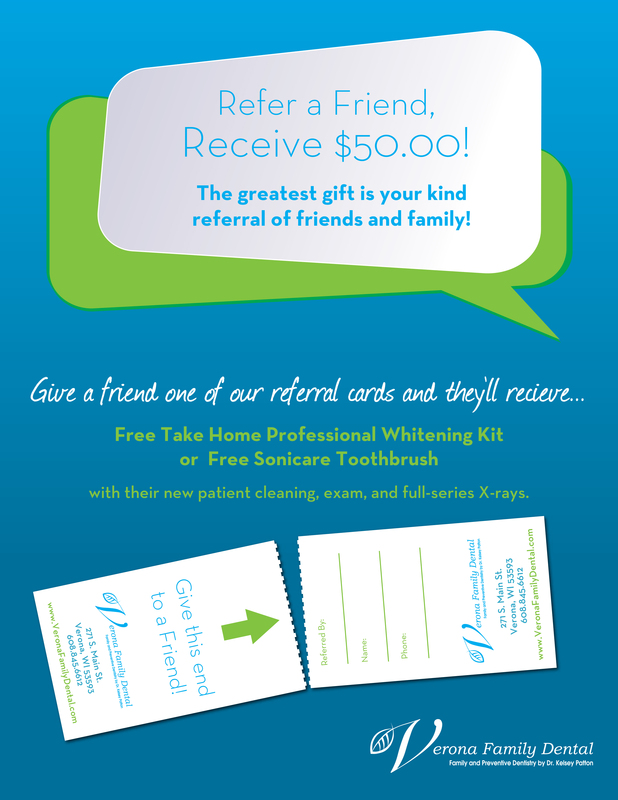 Your referral (and our new patient) gets a special appreciation gift from us! You will receive a $25.00 VISA gift card with our THANK YOU! At Sauk Trail Dental we know that you have choices and when you choose US, we are grateful! New patients to our office will receive a special gift as a token of our appreciation.